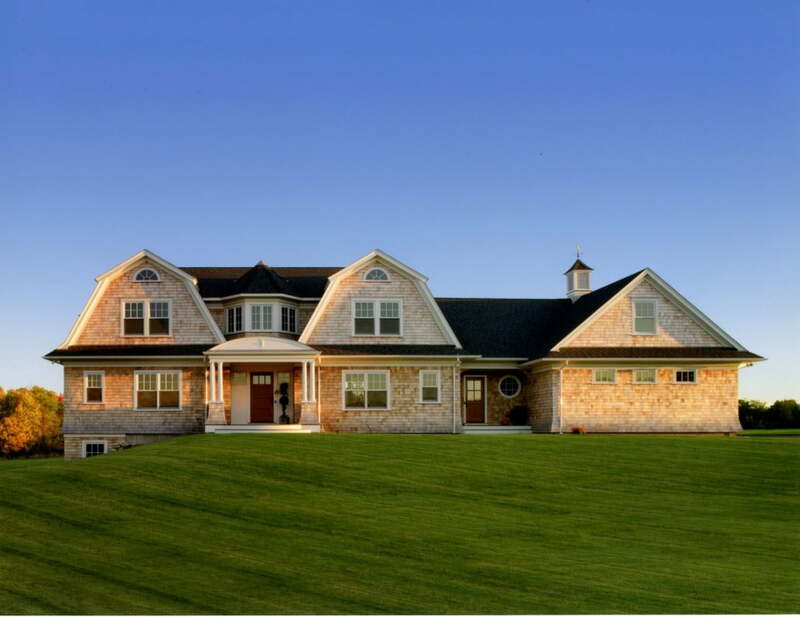 This shingle-style home is reminiscent of historic turn of the century homes along the Rhode Island coastline. 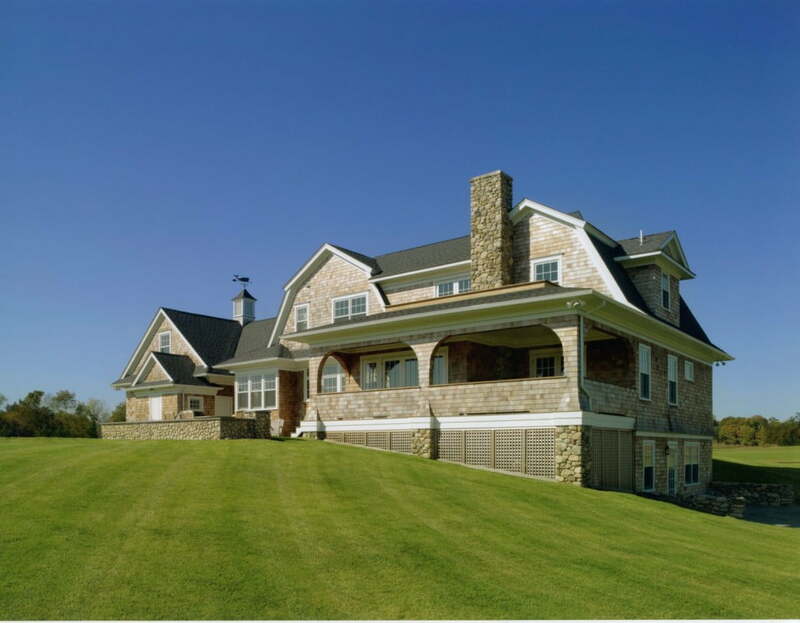 Design elements include gambrel gable roof lines, large overhangs above the first floor, and flared western red cedar shingles. 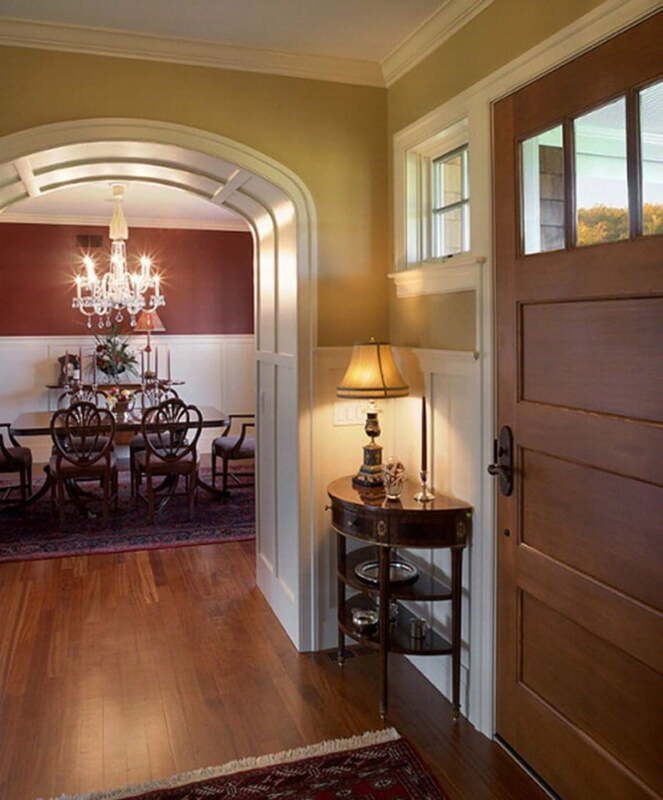 Baud Builders worked through interior trim options with the homeowner resulting in the curved archways, paneled arch and wainscot paneling in the dining room. Stainless steel appliances complement the custom-built painted bead board cabinets. The recessed cooktop has a convenient pot-filler faucet. 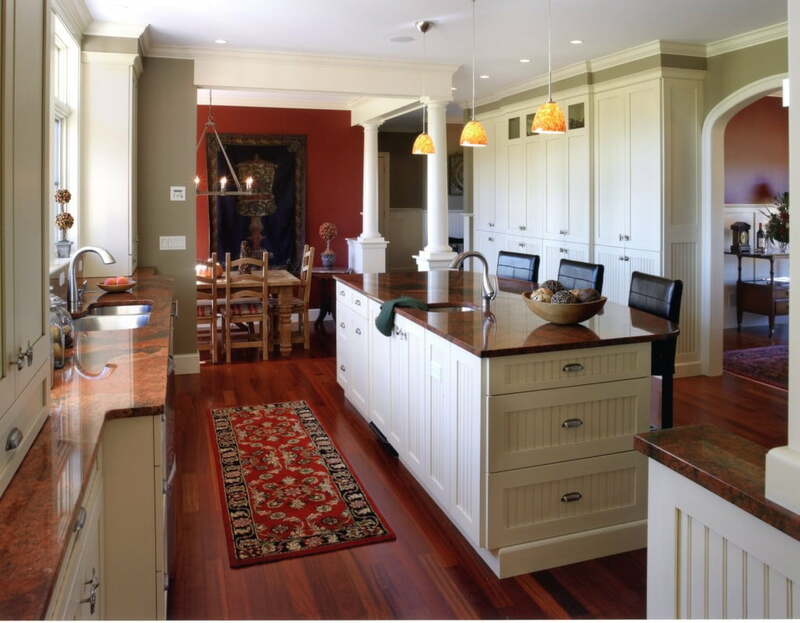 Custom interior trim choices were carried into the kitchen area. 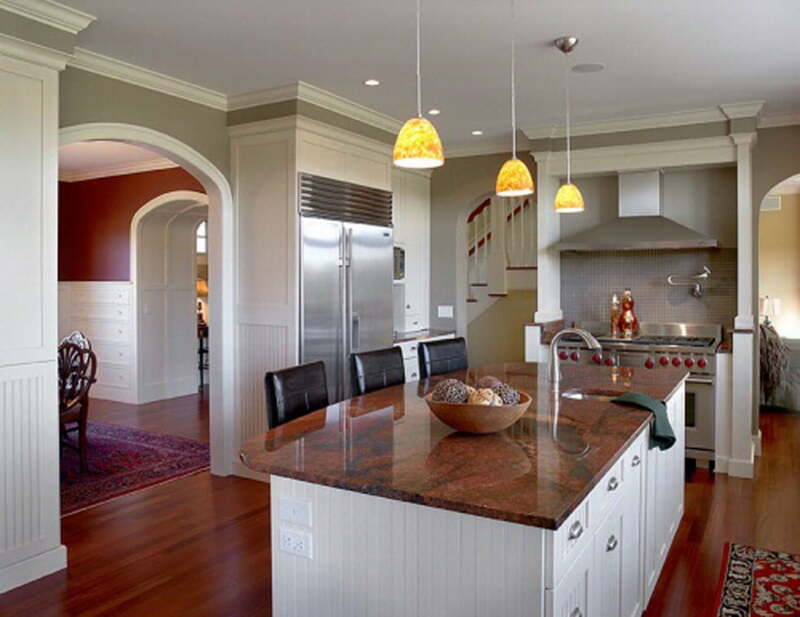 Dark red granite countertops set off the white custom built cabinets. 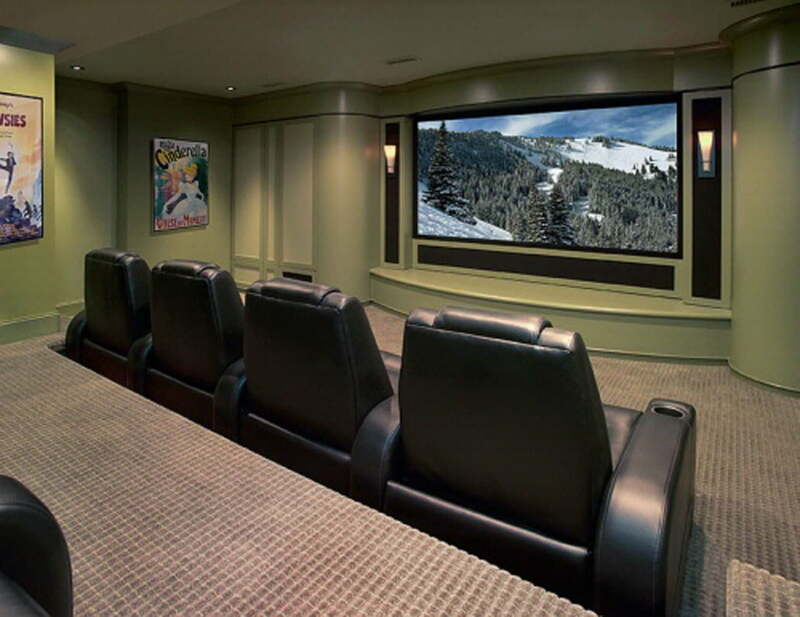 The lower level space was built out as a soundproof media room with a theatrical proscenium, elevated seating, and remote control lighting. A storage room in the back houses the projector reducing projector noise into the room. Porches and built-in decks allow for winter views of the bay. 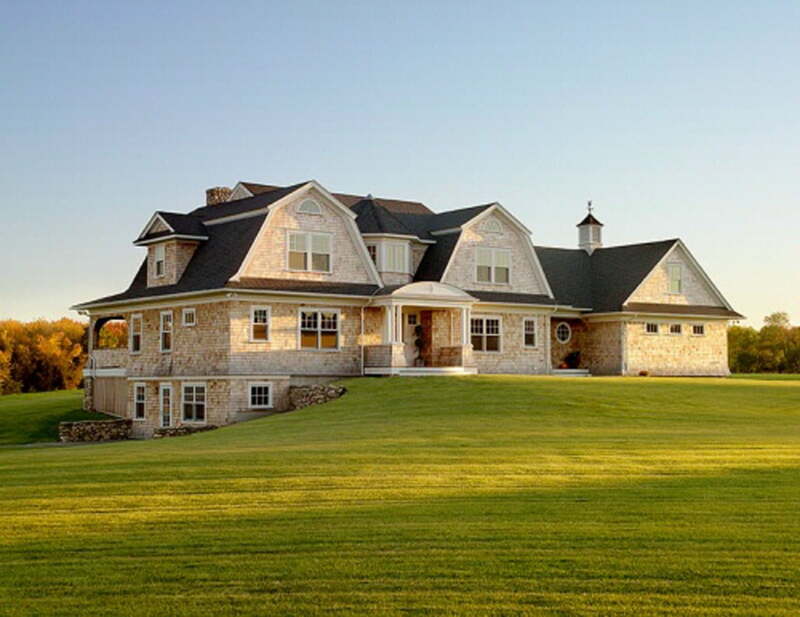 The arched-roof portico with a rounded mahogany deck was built offsite in Baud’s millwork shop and then installed onsite in one day.